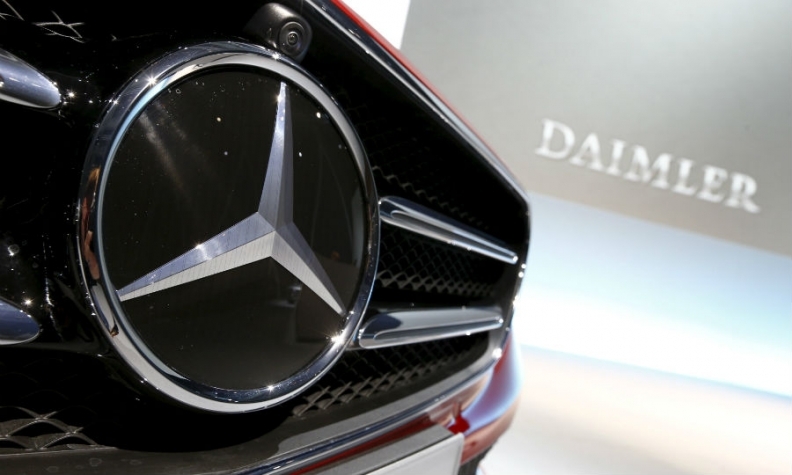 FRANKFURT -- German prosecutors have opened an investigation against employees at Daimler. The employees are being investigated over diesel-manipulation allegations, a person familiar with the matter told Bloomberg. A spokesman for the Stuttgart prosecutors, said Daimler employees are being probed for possible fraud and false advertising but declined to comment on the details. Daimler, which builds Mercedes-Benz and Smart cars, said it is fully cooperating with the authorities, declining to comment further because of the ongoing nature of the investigation. Daimler said that Germany's transport ministry and vehicle type approval authority had conducted emissions tests on its cars and had found no violations. German newspaper Die Zeit reported that some diesel powered Daimler cars may have been manipulated to pass emissions tests. Die Zeit said a Daimler worker testified to Stuttgart officials that the company may have manipulated its diesel engines to cheat on emissions tests. Daimler declined to comment on the report. Carmakers have been under the spotlight since Volkswagen revealed in September 2015 that it installed software in 11 million diesel vehicles worldwide to bypass pollution rules. Authorities across Europe are focusing their attention on whether a separate technology that enables emissions controls to switch off at certain temperatures to help protect engines -- widely used across the industry -- violates the law. Mercedes in April agreed to a voluntary recall in Europe to fix temperature-control setups on diesel cars’ emissions systems. The move followed a probe into vehicle emissions by the German transport regulator, and also included the Volkswagen, Audi and Porsche brands as well as General Motors Co.’s Opel nameplate. A total of 630,000 cars were recalled. German environmental groups have also alleged Mercedes diesel cars breached emissions rules, which the company has refuted. European probes add to German carmakers’ legal challenges in the U.S., where the Volkswagen scandal erupted. Last year, Daimler was asked by the U.S. Department of Justice to conduct an internal investigation into how its vehicles’ emissions are measured. The company appointed Deloitte Touche Tohmatsu to help gather documents and emails to comply with the request. In December, Daimler and its Mercedes-Benz USA LLC unit won dismissal of a U.S. lawsuit claiming they misled consumers into buying clean diesel vehicles by misrepresenting their environmental impact. German prosecutors in three cities are now targeting German automakers over diesel-emission issues. Officials in Brunswick have been investigating Volkswagen employees for almost two years amid the world’s biggest automotive scandal. Munich prosecutors last week raided offices of Volkswagen’s Audi unit and also opened a fraud probe into the luxury brand. Stuttgart prosecutors have been investigating since December 2015 whether employees at supplier Robert Bosch participated in the manipulations. The Daimler probe is their second case over the issue.